You know those products you hear every blogger, Youtuber and their mum talking about so you eventually give in and try it? That's what happened for me with the Max Factor Creme Puff blush! 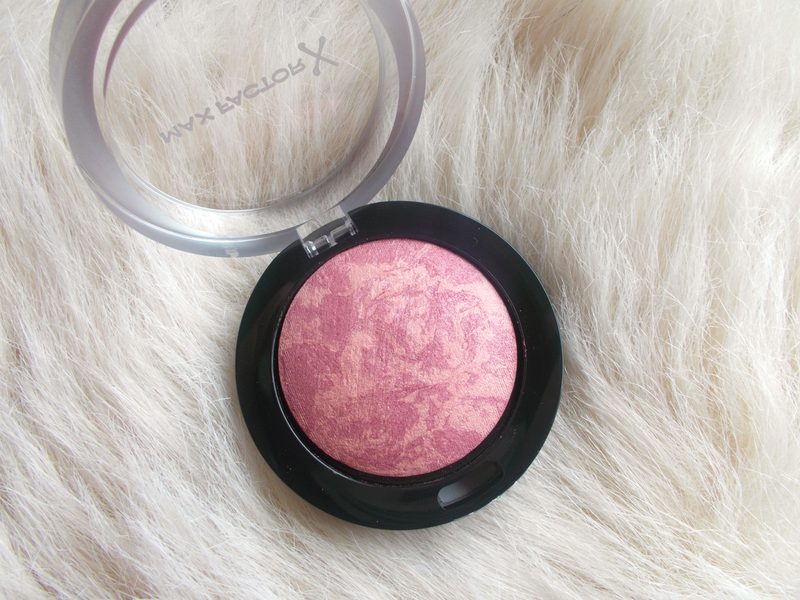 It's a marbled/baked blusher which costs £8.99 (I'll talk more about the price later in the post). There are six shades to choose from and Max Factor call them "multi-tonal pigments which blend effortlessly for a gorgeous flush of colour". 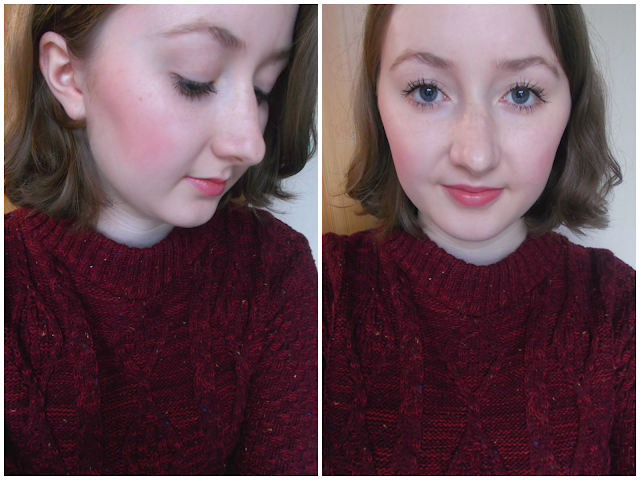 Unlike lip colours, I don't tend to really experiment with different blush shades a whole lot so I went for what's in my opinion the 'safest' option, Seductive Pink. It's an infusion of a light pink and a deeper almost purple which when swirled together create a beautifully natural yet noticeable flush - my kind of shade! I tend to favour marbled blushes as they give less of a blocky colour than plain ones do. They're also designed to allow for a lot more versatility in the sense that you can work with them to achieve a very light sweep of colour, a striking pop and anything in between. This particular shade of Creme Puff blush looks very shimmery in the pan and when I swatch it on the back of my hand it has quite a bit of (very) fine glitter but that doesn't seem to translate when it's on your cheeks. Instead you get a glowing luminosity which I absolutely love. It's one of those blushers you can skip the highlighter with! I'm also impressed every time I use it because there's next to no fallout. I was very tempted to go and buy some of the other shades until I double checked the price. When I bought this it was £6.99 and I mustn't have realised that was a discounted price as I've just found out they usually cost £8.99! I suppose everyone has a different budget and if you're used to paying more then these will seem like absolute bargains to you, but to me, almost a tenner for a drugstore blush seems a little steep. I probably would repurchase this particular shade again now I know I love it but I don't think I'll rush out on a whim to try some of the shades which I'm not 100% sure would suit me - y'know what I mean? For these photos I'm wearing it built up to a medium pigmentation as that's my personal preference but it can be worn more sheer if that's more your kind of thing. 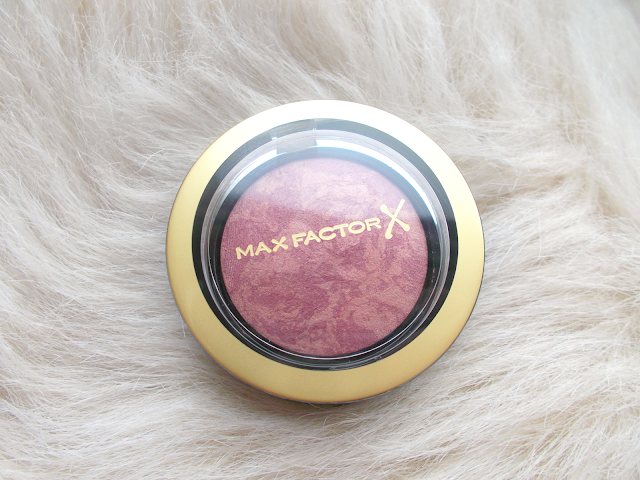 Get involved in the comments below and let me know if you've tried the Max Factor Creme Puff blushes & what you think of them! Would you try these blushes? Should I try another shade?